Here are some additional lunch menu items that we offer on the truck and catering services. A refreshing and tasty salad typically enjoyed as part of an appetizer on special occasions. 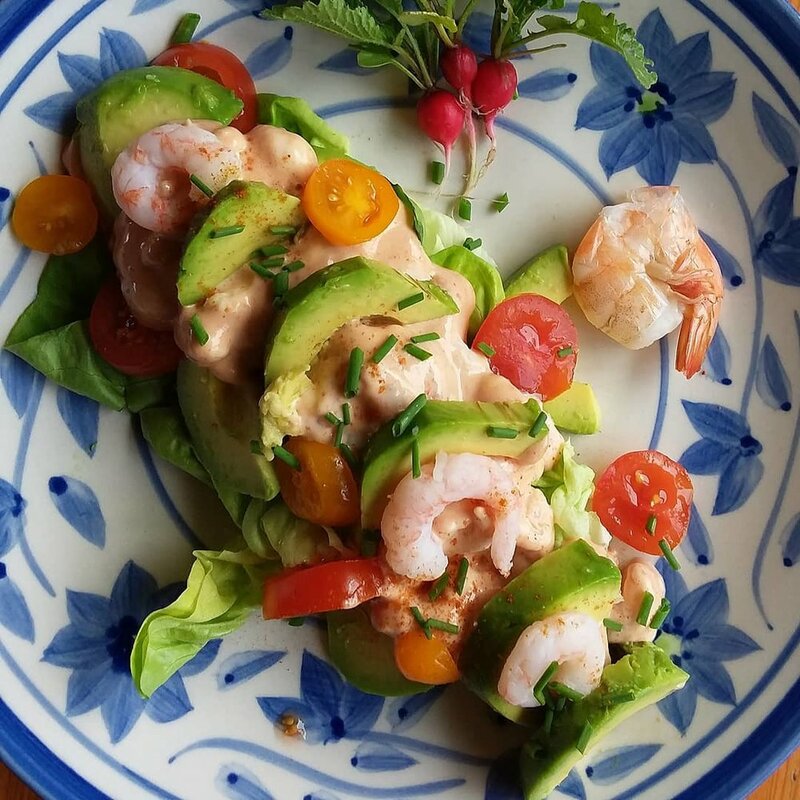 Local caught Large shrimp over Shredded Iceberg with Sliced Avocado, Chopped Spring Onions, Horseradish Cream Sauce & Irish Cheddar. Tilly is from the curry capital of England-Birmingham. These tacos are inspired by Britain's favorite curry dish. 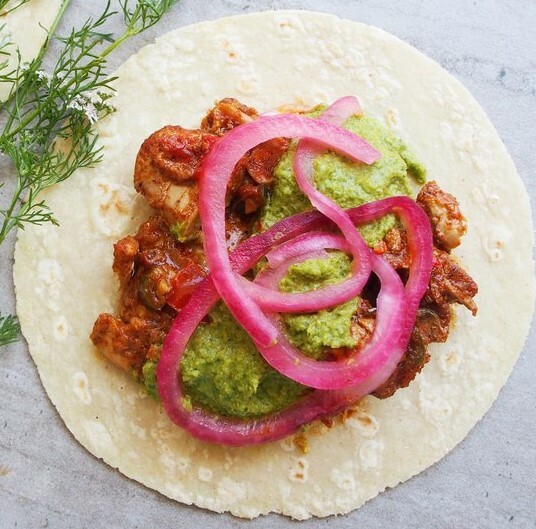 Tikka Masala Chicken, Pickled Shallot Loops and Mint Chutney Crema in Flour Tortilla. Not our typical cuisine but we dare to be different and love to offer variety. Charleston Jerk Braised Chicken over Aged Cheddar Mac Topped with Curry Pickled Veggies Cotija Cheese, Fresh Cilantro with Droplets of Homemade Pineapple Chili BBQ Sauce.